Maruti Suzuki's SX4 sedan while launched in 2007 was the most appealing car of that time - fitted with best in class features, good in space and a masculine look with Maruti's brandname was the customer's first choice. While SX4 still offers the best in class features, however the competitors have grown beyond it and an overall package that the competitors like Verna and City provide, is something which has been worrying Maruti Suzuki for a long time now and has led to plumetting of sales of SX4. 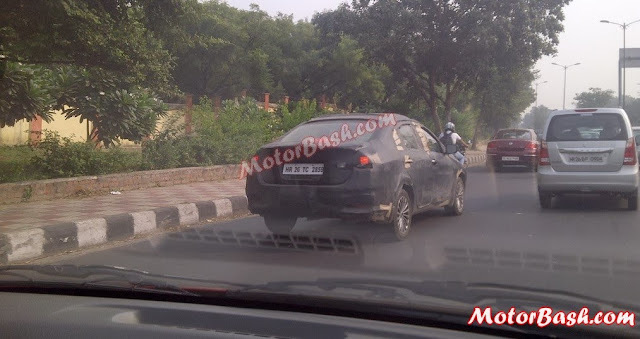 The new SX4 which is based on Suzuki Authentics concept looks much bigger than the current gen SX4. The new car will be fitted with the same petrol and diesel mills with 1.6L Petrol engine and 1.3L SDE diesel engine. On earlier occasions also we had showcased some of the images of the car of exteriors as well as interiors. 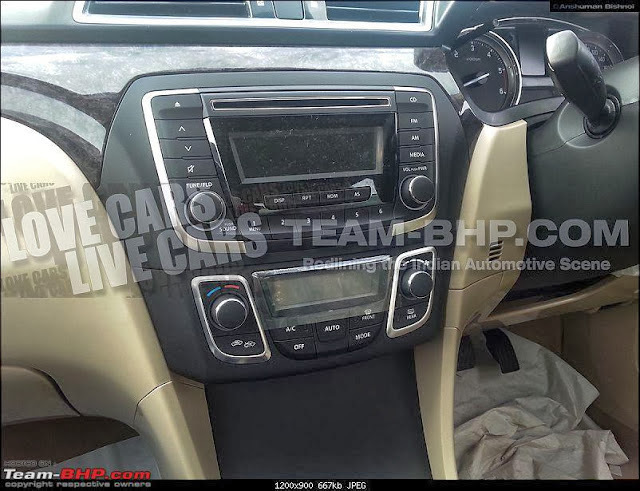 Here are some more Images of the interiors of the new SX4. The car no doubt looks even better as far as interiors are concerned when compared to new exterior image. The car hosts new beige + black interiors with premium finish, gloss black paint on gear knob and around the touch screen music system. A high gloss black finish line is also available across the dashboard similar to what we see in Dzire - though in faux wood finish. The V shape dashboard falling design is new and resembles a little bit to Hyundai Verna. 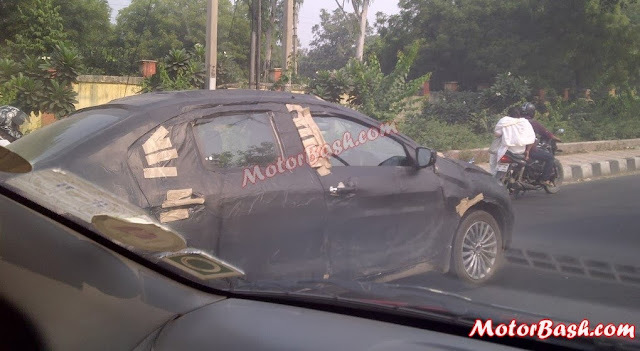 The car would be launched around Auto Expo next year however before that we would be witnessing the launch of Maruti Suzuki's small car - YL7. 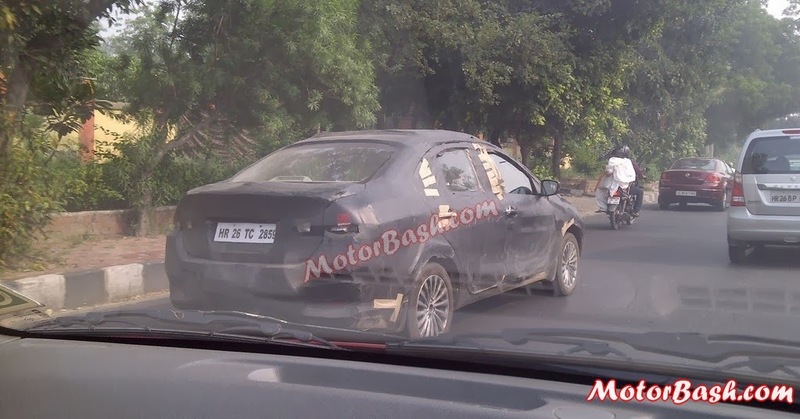 However, Maruti Suzuki's immediate competitor Honda City would be unveiled on 25th November - official confirmation from the company is here. Stay tuned for more.